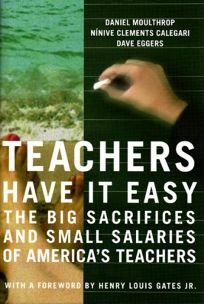 This book provides a punchy, thoughtful look at the issues surrounding teacher salaries in the public school system. And while it is openly biased on the subject-the authors see salary reform as the best way to ameliorate many of the problems facing America's public schools-this bias never compromises its even-handed consideration of the current debate. In part, this is because the authors wisely ground the book in the words and experiences of teachers themselves. The stories of high ideals and hard work compromised by the brutal conditions facing teachers speak for themselves, allowing the authors to make their points by interspersing short passages that highlight the key issues raised by the vignettes. Whether or not one agrees with their solutions, their characterization of the problem is spot-on. Perhaps more valuable, however, is their detailed discussion of actual school reform initiatives. Unlike most of the problems treated here-low pay and little respect for teachers or resource shortages in public schools-these incentives will not be familiar to most readers. Each of them take different approaches to the problems facing public schools and have had varying degrees of success, but all of them illustrate the gains that can be made when committed educators and policymakers work together with shared goals and community support. It's no accident that the book winds up with this informative consideration of solutions (nor that it provides a rich bibliography for further reading as well as contact lists of reform-minded school districts, teacher recruitment agencies and a variety of educational organizations) because in the end it is less a complaint than a call to action, one that will appeal to a wide body of readers.